Tiger Woods has admitted he may not play competitive golf again in his career. 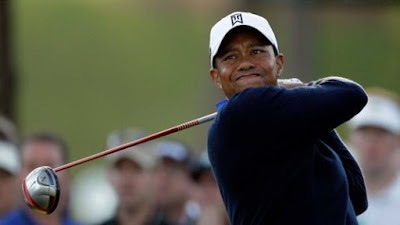 The 41-year-old 14-time major winner has been hampered by a series of injuries in recent years, but remains hopeful that he will not have to quit the sport. When asked on the eve of the event if he could see a scenario where he did not return to competitive golf, Woods said: “Yeah, definitely. I don’t know what my future holds for me. “As I’ve told you guys, I’m hitting 60-yard shots. “I didn’t know if I was going to be able to be here, because I couldn’t ride in a cart. The bouncing hurt too much. Woods said last week that doctors had cleared him to begin swinging a club again, but agreed on Wednesday that he was a long way from returning to competition. “First things first. Get my health organised, make sure the pain goes away. Then, just waiting for what my surgeon says. “I’m still training, I’m getting stronger. But I certainly don’t have my golf muscles trained, because obviously I’m not doing anything golf related,” he said.